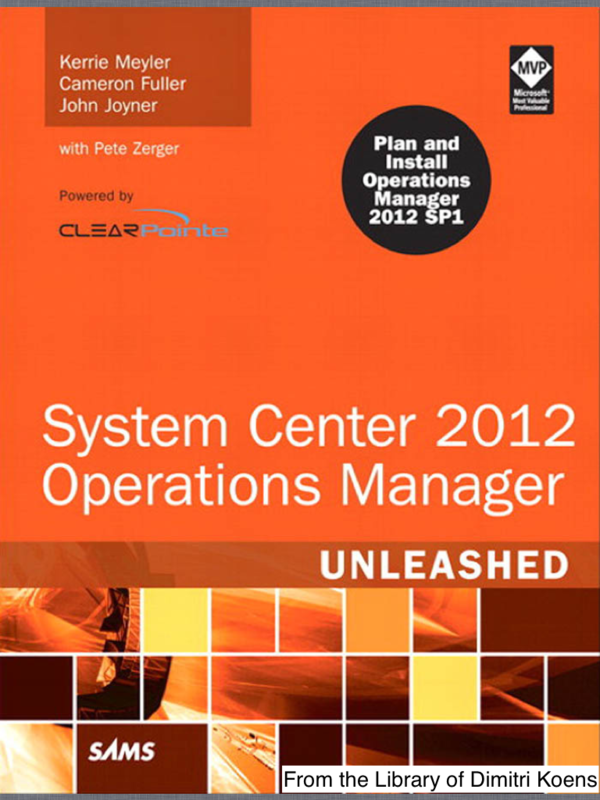 Just received my copy of System Center 2012 Operations Manager (SCOM) Unleashed from SAMS Publishing! First impression: very good. The SCOM 2007 Unleashed book was already great because of the great wealth of information in the book. This books structure is almost the same as the previous. Don’t be fooled by the title on various websites. 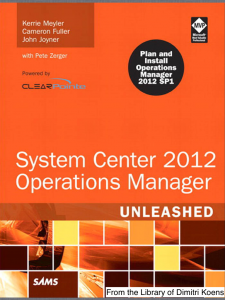 On Amazon it’s: System Center 2012 Operations Manager Unleashed (2nd Edition). It’s not a second edition. I think the title has been copy/pasted from the previous release. Kevin Holman is acting as Technical Editor! 🙂 And thanks to the writers: Kerrie Meyler, Cameron Fuller and John Joyner.